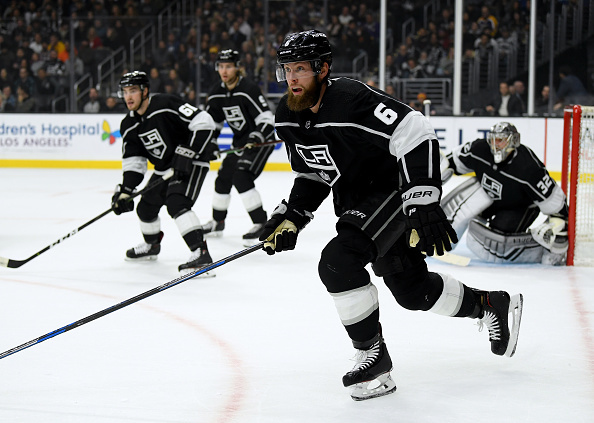 The Maple Leafs went ahead and bust open the trade market by acquiring Jake Muzzin from the Kings on Monday night, sending a package that includes a 1st rounder in 2019 and prospects Carl Grundstrom and Sean Durzi. This is a major move that will reverberate around the league. It's believed the Penguins and divisional rival Lightning had some level of interest in Muzzin. We'll see if they respond with their own maneuvering. The Hurricanes were interested in trading a defenseman to Toronto for forward help, but that's more than likely off with the acquisition of Muzzin. Carolina was hoping to swing a trade for Kasperi Kapanen or Andreas Johnsson in a deal that may have included Brett Pesce, Justin Faulk or Dougie Hamilton. Carolina is likely to move onto plan B - there have been rumblings of something brewing with the Blues. It also could take the Leafs out of the running for Michael Ferland - who the Hurricanes were hoping to package with Pesce. This could be a boon to teams like the Predators and Jets who now have one fewer team to bid against. Hard to see the Leafs being in serious contention for Wayne Simmonds now either - they've just spent a number of assets. There's still plenty of time before the deadline, but this move certainly shakes things up for a number of teams - the effects of which we could see play out in the coming days and weeks.